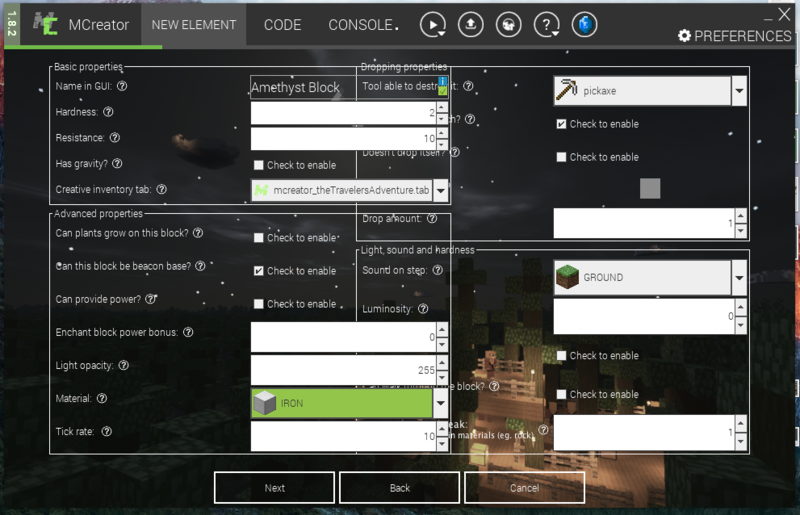 I don't know if this happens on any other platform but the block creation is visually messed up. I have attached an image of what I am seeing on my screen. This bug will be fixed in MCreator 1.8.2 patch update. Thank you for reporting it. The patch will be announced in the release article today or in the upcoming days.